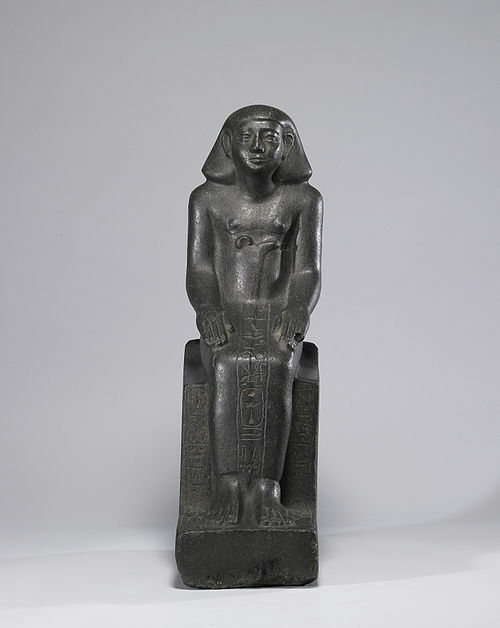 Amenemhat IV was the son of a woman named Hotepti, whose only royal title was King's Mother, a title that she obtained when her son became king. The fact that Hotepti's titulary did not include King's Wife, King's Daughter or King's Sister indicates that she was not a member of the royal family, neither by birth nor by marriage. This means that Amenemhat IV was not of royal birth either. Aside the fact that Amenemhat III must have had no male offspring that survived him, we can only guess at the reasons why the old king chose Amenemhat IV to be his successor. Contrary to Manetho, there is no evidence for a marrige between Amenemhat IV and Nefrusobek, a daughter of Amenemhat III, which would support his rights to the throne, as Nefrusobek nevers seems to have held the title King's Wife. According to Manetho, this king ruled for only 8 years, a number that is confirmed by the 9 years, 3 months and 27 days credited to him in the Turin Kinglist. This short reign is confirmed by the relatively few sources that have survived from his reign. 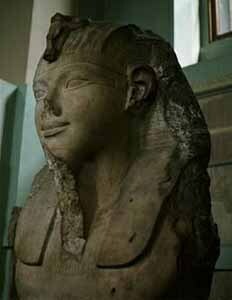 It might also indicate that Amenemhat IV was already an elderly man when he came to power. 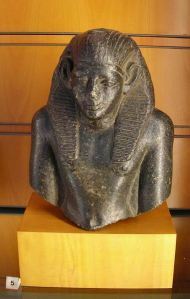 He shared the first year of his reign in co-regency with Amenemhat III. Amenemhat IV completed several temples that were started during by Amenemhat III. Inscriptions in Nubia also show that he still controlled the territory that was conquered during the reign of Sesostris III. Like his predecessor, he abandonned a Nubian fortress, a process that would be continued during the 13th Dynasty. That this abandonment did not happen from South to North, is seen as an indication that it was motivated by economical reasons rather than being the result of a loss of territory to the Nubians. Expeditions to the rich mining areas of the Sinai appear to have suddenly ceased during this reign. This, along with a conspicuous absence of monuments in the Nile Delta, probably means that Amenemhat IV had lost control over an important part of the Eastern Delta, where the 14th Dynasty started asserting its independance. Eventhough he was survived by at least two sons, he was succeeded by Nefrusobek. This may hint at some opposition from some members of the ruling elite towards his family becoming the new royal family. If so, the result was only temporary as Nefrusobek too seems to have died without any male heirs and was succeeded by Amenemhat IV's sons. He is sometimes assumed to have been buried in an unfinished pyramid in Mazghuna, but there is no evidence to support that assumption.